We are buying Cotton. Now. During the past week I have begun to establish long positions in Cotton. 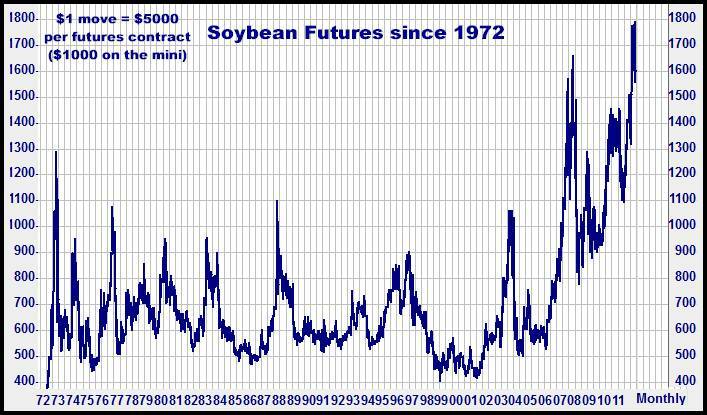 Early last month, I had a comment from one of my agricultural banker buddies, “Prices are good for everything”. I asked what he meant. His answer was, ”With today’s prices, you can make good money planting everything…corn, wheat, soybeans…The only crop that isn’t profitable is cotton”. All of the commodity markets go up and down. They become overvalued and undervalued…and relative to just about any major agricultural crop you want to name, in my opinion, COTTON IS SEVERELY UNDERVALUED. I’ll get into a few of my possibly irrelevant reasons for being bullish Cotton in a moment, but first just take a look at where Cotton is pricewise compared to a few other ag markets…. I don’t think I need to rattle on forever to point out that current record high prices in Corn, Soybeans and Wheat will most likely influence farmers, in the coming year, to choose planting those crops over Cotton, in virtually any circumstance where they do have a choice as to what they put in the ground…After all, farmers ARE looking for the best return on investment, and if they have a choice, why would they plant a crop that on paper will only lose them money when there are other crops that present the opportunity to make a substantial profit? In other words, I believe a LOT of formerly Cotton acreage will be switched to other crops in 2013…on a worldwide basis. 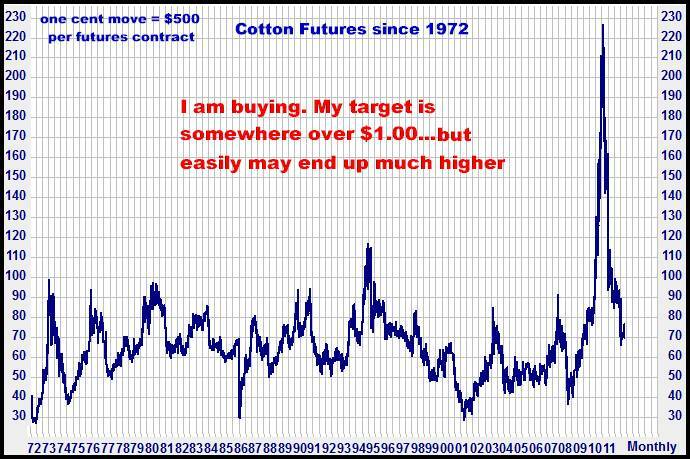 Cotton stocks are too big? Virtually every commodity bottom I’ve ever seen has been accompanied by very large stocks (that’s one of the reasons why prices WENT down). The world economy is on shaky legs? As I’ve been writing forever, I believe the world is on a gigantic economic upswing, that our stock market is on the verge of LIFTING OFF on the upside, and that anybody who is placing bets based on the idea the US and World economies are going south…is going to end up a big loser. 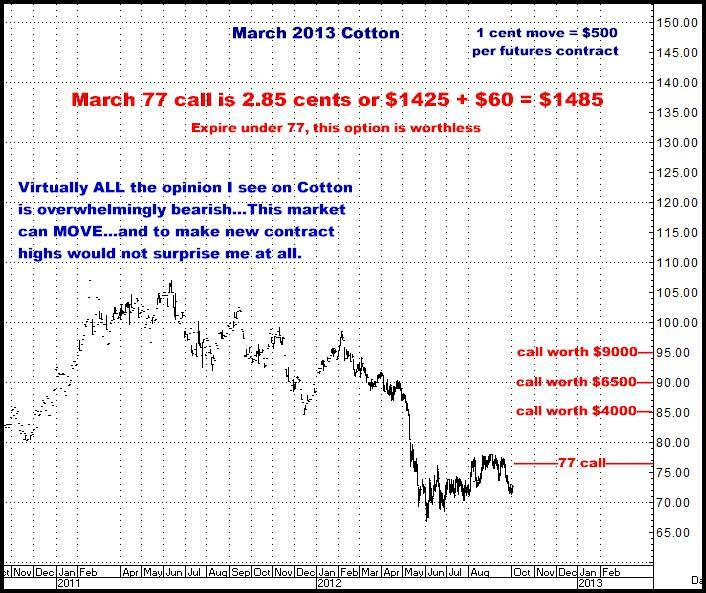 For starters, by next summer, I can easily envision Cotton having traded, at least, up to the $$1.10-$1.20 area. 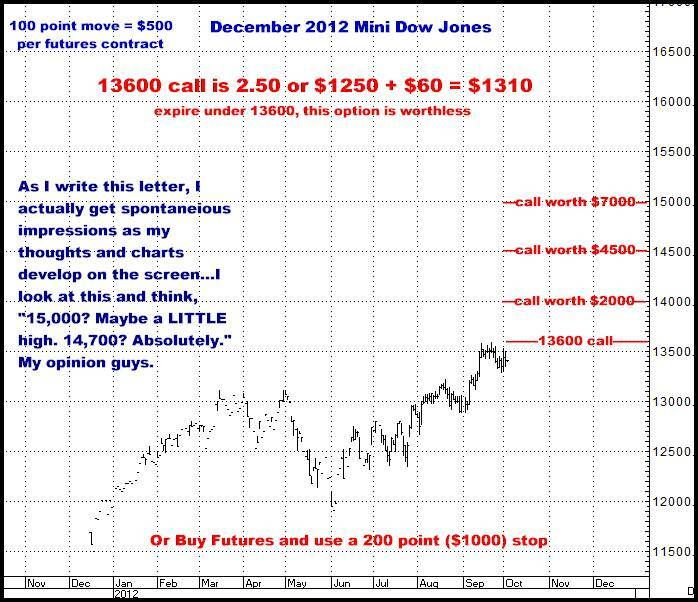 I am buying calls and/or futures in the March, May and July 2013 contracts. 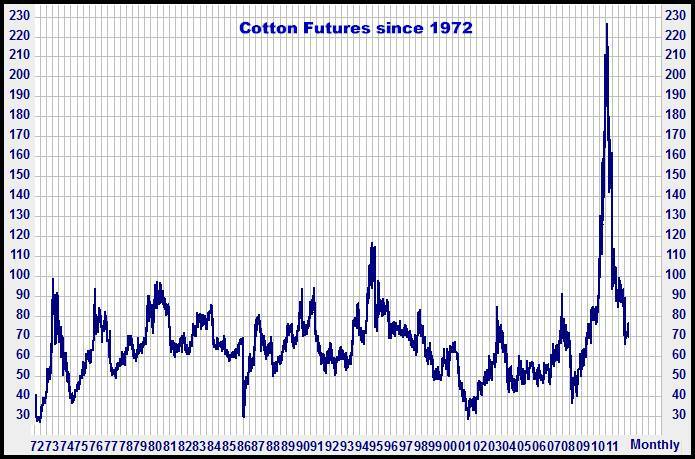 I may be dead wrong but I simply cannot see Cotton still sitting anywhere even close to current prices come late next summer…and this opinion does not even take into account what could happen if we get into bad weather…So my bottom line is: Buy it here. Define your risk. Let it happen. And if you are a farmer, I would shed all fears of selling 2013 Corn, Wheat and Soybeans at current prices as “too cheap” and get healthy percentages of your anticipated production contracted now. 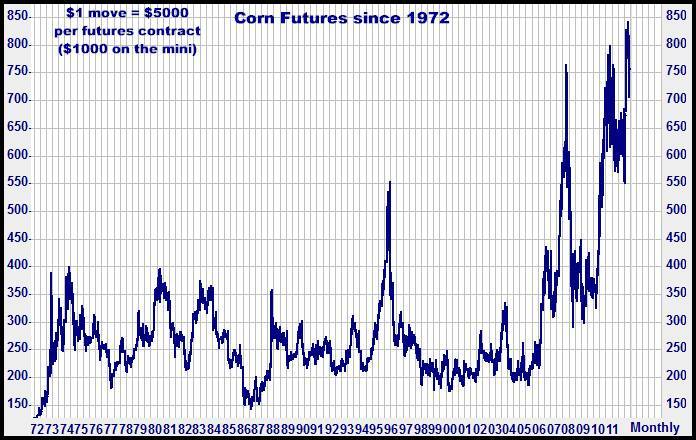 Think about it: If you, for example, expect to plant maybe 2 of those 3 crops, how foolish could it be to contract 30% of your Corn at $6.70 (today’s close, Sept. 2013 contract), Wheat at $8.48 (July 2013) or Soybeans at $13.25 (Nov. 2013)? IF these crops do stay bullish, and take off on the upside the way so many analysts are predicting, you can contract more in increments as/if these markets do rally, and still end up very happy if we actually do get $9.00 Corn or $20.00 Soybeans…On the flip side, however, my old hand advice is to remember what you have seen throughout your farming lifetimes…that until a few years ago, just about ALL of the big rallies were followed by 2-3-4 years of going decidedly the other way (while everybody talked about how bullish the fundamentals were), and believe me, those days are NOT behind us. I don’t care how many brokerage houses or farming analysts you can find proclaiming how bullish the supply-demand numbers are, you must know, that from the Arctic to the Antarctic, anywhere they can plant any of these crops, same as you, they are going to do it, as BIG as they can…and just like “always”, SOMEHOW, demand WILL be met, we WON’T run out of these crops, and prices could end up a LOT lower than anybody ever dreamed. You’ve seen it before…Many times. Do some hedging now…Whether you have an account here or not, pick up the phone and call me if you want to talk about what your options are…I don’t farm. I don’t care which way prices go. I am unbiased and will give you a straight talk-no nonsense opinion (maybe stupid, but honest). 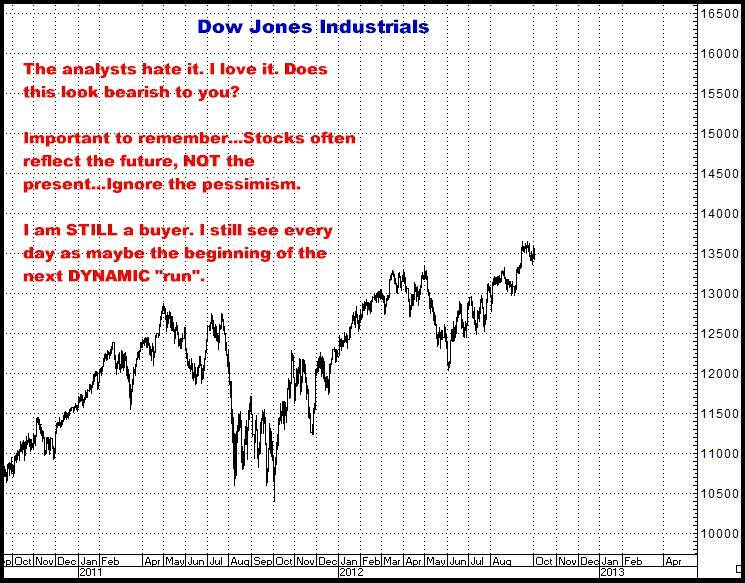 Stocks have paused, quite normally, up here around 5 year highs for the past three weeks, and quite normally, the whole analytic world is SURE that every down day is the beginning of the end. The “Don’t Buy It” claptrap is still everywhere. I continue to think we are on the verge of an upside explosion that could see us through 15,000 in the Dow within the next few months. 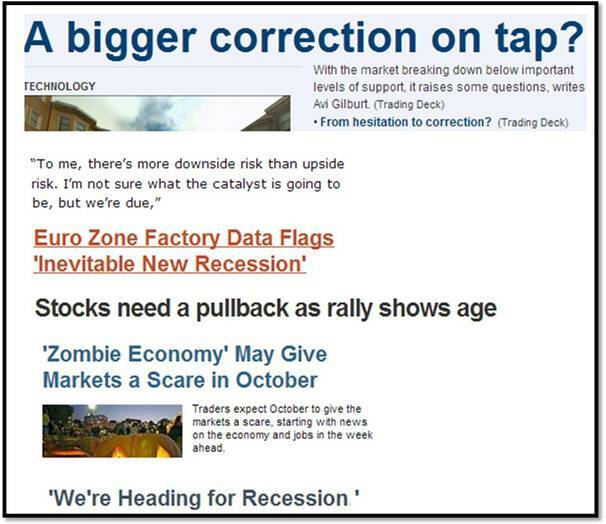 Equities have been stair-stepping higher while expert after expert presents his “rationale” for the economy, and stocks, turning south…The latest, if you haven’t noticed, is, “Businesses don’t have enough confidence in the economy to expand. There’s too much uncertainty. What about the fiscal cliff? What if Obama gets re-elected? 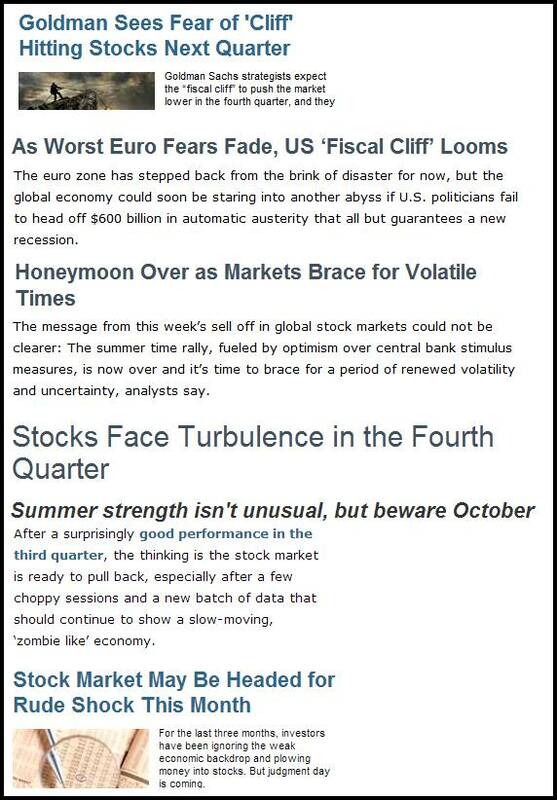 And now that we KNOW Europe is headed for another recession? THERE’S NO CONFIDENCE! How can stocks keep going up?”. I honestly cannot count the number of bull markets I have seen grinding higher, through the same sort of seemingly unanimous media “doubt” we are seeing now, that “unexpectedly” (to the masses) turn into straight up, protracted, large percentage moves…where, for example, you get maybe 8 or 9, or 11, consecutive up days, some BIG, some tiny (but up), and suddenly everybody wakes up to the fact the market has been quietly roaring…and yes, the Dow IS then at 15,000. Think I’m nuts? All I can say is, that I, and you, have seen this sort of stuff before...over, and over…and over. PLAIN AND SIMPLE, I THINK SOMETHING BIG IS COMING IN STOCKS…I AM STILL BUYING…NOT JUST SITTING ON WHAT I HAVE…I AM BUYING MORE. DO YOU GET THE PICTURE? AND DO YOU REALIZE HOW MANY TIMES, DURING HOW MANY YEARS, YOU HAVE SEEN EXACTLY THE SAME? YOU STAY ON THIS HORSE UNTIL, AT A MINIMUM, YOU CAN HEAR SOME DEGREE OF “HAPPY TALK”. Here’s one way to go…There are all sorts of options that I think are viable here….November calls even…. Enough for one day…I’ll maybe get to the Euro tomorrow…It’s basically doing the same thing as the Dow…Going higher while everybody talks about Europe going “lower”. Give me a call if you’re interested.